A walk in December - Unlikely Finds! Today I went for a walk around the fields near my home. Due to the time of year, I wasn't really expecting to find anything, so I only took a small Tupperware box with me; what a mistake that was! As soon as I got only the public footpaths, I started to notice a few signs that didn't seem right to me. A little group of false chanterelles. While this is no glorious find - especially considering they aren't edible - it was unseasonably late for such mushrooms to be growing. Nevertheless, I kept going, it was then that my mind began to drift off, with fantasies of finding gourmet Autumn mushrooms. Sadly, this was not the case! However, I did stumble across the biggest bush of sloe berries I had ever seen in my life! Funnily enough, at the hight of the sloe season, I only picked a few. I stored them in my fridge and forgot about them. They had to be thrown away. I was really quite disappointed about losing my potentially delicious finds! "Oh well, until next year!" I said. Somehow, these sloes had not yet rotted away, been eaten by animals, or (much worse) been picked by another forager! Jokes aside, I was ecstatic; I had another chance at making sloe gin! Even though I won't be drinking any gin, my parents sure will be happy! Within five minutes, I completely filled my box and began walking back. On my way home, I still found loads of other edibles I could have taken home, such as jelly ears or rose hips, but I was far too concentrated on my sloes to take notice of these. Before I could do anything else and forget about them again, I cleaned them and stuck them in the freezer. Even though we have already had a few hard frosts, I didn't have the gin yet and figured nothing bad could come out of freezing them again. 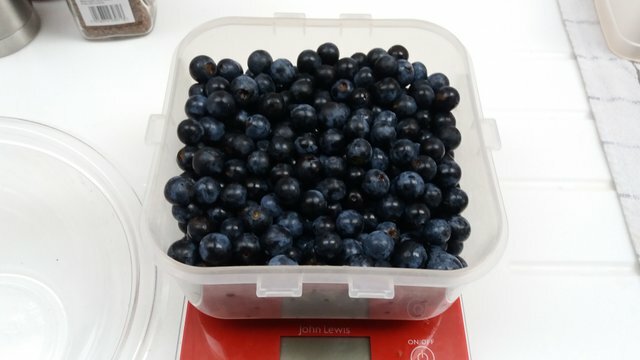 Having filled my water bottle with sloes aswell, I managed to pick about a kilogram of sloes altogether! Not bad for December! 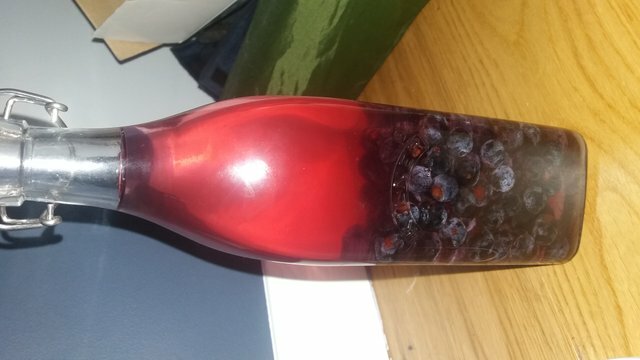 Soon, I hope to make a post about my process of making sloe gin. This is the second time this week I ran into making Sloe gin and I've never heard of it before! 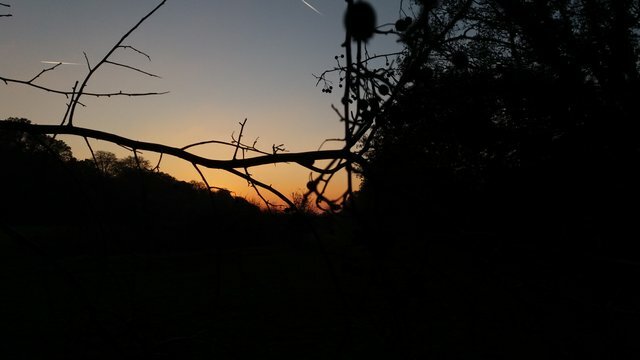 @riverflows included a recipe in her post about "Blackthorn Dreaming: Of Darkness, Tree Magic, and Witches"
Wow, well it certainly is very popular where I live. 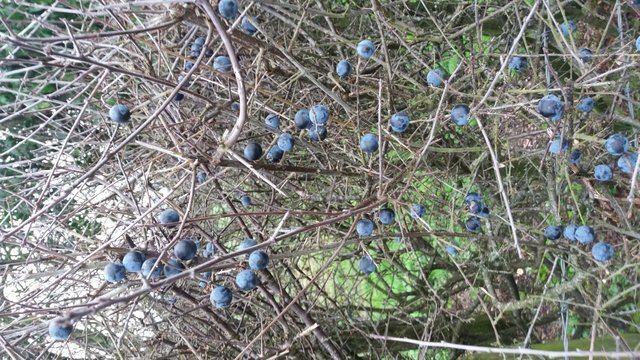 In fact, as I was picking them, at least 5 people walked past me and asked if I was going to be making Sloe gin! I'm sure that where you live all the Sloes are gone, but hopefully next year you might be lucky enough to collect enough to make your own batch! I've never heard of Sloe berries. What is the Latin name or other names it may go by. I don't think it grows up here. What else can you use them for? Wow that is a great find. Where do you live? I feel I should know that but I forgot. Hi @riverflows, thank you! I live in the United Kingdom. Great post! The manufacturing process would be interesting. Hi @setik-001, thank you for your kind comment! I certainly look forward to making a full post about the Sloe Gin making process. Sloe gin can take a very long time to make, so it might be a few months down the line. Like a fine wine or a forager, it betters with age! Here's a quick image of my sloe gin batch, just one day on. You can see that it has already gone quite red in color after just one day! Stay tuned for the full post! We had this thorns before it was full, but we did not know what to do with it. His grandmother always dried for the winter, and then cooked compote. Hello @bucksforaging15! This is a friendly reminder that you have 3000 Partiko Points unclaimed in your Partiko account!